The 2015 edition helps identify program areas that need improvement, especially in inspections and foodborne illness prevention. 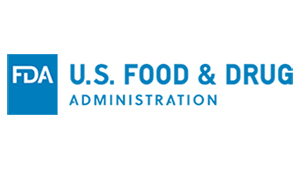 After receiving input from federal, state, and local regulatory officials, along with industry and trade associations, academia, and consumers, FDA issued its Voluntary National Retail Food Regulatory Program Standards last week. The standards address “what constitutes a highly effective and responsive retail food regulatory program,” according to the document. The 2015 edition contains new worksheets that are intended to assist regulatory programs in looking at how their programs line up with the 2013 Food Code. This includes helping them assess the consistency and effectiveness of their enforcement activities, and a verification tool to help independent auditors with these self-assessments. Although jurisdictions can use the worksheets and other materials without enrolling in the Retail Program Standards, FDA encourages them to do so, as enrollment allows them to apply for FDA funding. The agency also lists the jurisdictions enrolled in the program here.